above: Federal Minister for Ageing, Mark Butler has had some victories for Aged Australians - But there's a lot that's left to be done!!! In the following article ALP Socialist Left Activist Tristan Ewins argues in favour of reform in the interests of vulnerable and Aged Australians - including tax breaks and national aged care insurance. We need ALP activists to take up these causes and make them a reality before the September election! Mark Butler seems to be interested - But are others in the Cabinet and Caucus listening? 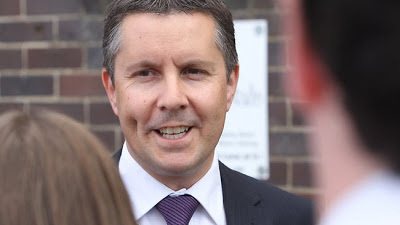 In the Herald-Sun today (June 2nd 2013) Federal Minister for Ageing Mark Butler was on record coming out in support of removing Stamp Duty tax from the sale of the estates of pensioners. The tax is seen as a disincentive to ‘shift down’ to smaller and more manageable properties –and the suggestion of an initiative in this direction is similar to what we have argued for at ‘Left Focus’ and ‘ALP Socialist Left Forum’. This makes good sense for pensioners who can no longer manage a (relatively) large property, including properties with large gardens. In response the Victorian Conservative government is claiming that this kind of program already exists in the form of a Stamp Duty waiver when shifting to properties up to $330,000 value, and with concessions for properties up to $750,000 value. This may be true, but the Federal Labor government would be right to see these measures as insufficient for pensioners: with Stamp Duty still comprising a major disincentive to “shift down” to a more manageable property. Quite simply there are few decent properties – even small properties – under $330,000 market value these days. And pensioners may not want to move out to the outer urban fringe in order to benefit from such programs. Also importantly: such schemes could be of interest to low income families as well, and also low income divorced singles who would benefit from ‘shifting downwards’. For those and others of limited wealth and on low incomes for whom a property may be all they have, the option to ‘shift downwards’ to a smaller property could make a great difference in accessing funds from the sale of their residences. It could also potentially make a great difference to disabled Australians for whom the only source of income is the disability pension. Though to avoid the dual outcome of gentrification of some suburbs, and infrastructure and service poverty in ‘low income ghettos’ - such a policy needs to be combined with active intervention to overcome infrastructure and service deficits in affected suburbs. So at ‘Left Focus’ and ‘ALP Socialist Left Forum’ we are saying ‘Yes’ to the removal of Stamp Duty Tax for aged and disability pensioners, as well as low income Australians and lower income divorcees for whom relocation could make a great deal of difference for their quality of life. Though so the policy cannot be abused we are suggesting it can only apply to specific individuals once in every ten years – with the exception of house sales upon entering care. We are saying ‘Yes’ to Federal compensation of State governments so such a policy can be implemented nation-wide – and for Labor to adopt this as an innovative and equitable policy with the election drawing nearer. Further, we are arguing that this be paid for by restructuring the tax mix rather than through austerity. And we are hoping some people in the Federal and State governments are listening! We are also saying ‘Yes’ to National Aged Care Insurance as a priority comparable to the National Disability Insurance Scheme. But we are opposing regressive user pays charges for aged care services and accommodation. We are saying ‘Yes’ to further improvements for the pay, conditions and career paths of Aged Care workers – As well as improvements to the quality of service enjoyed by all aged residents in care – whether high or low intensity care. This means good quality food; privacy with personal rooms if so desired; better carer and nurse to patient ratios; facilitated social interaction and intellectual stimulation; and access to IT for those so interested; as well as access to change of scenery including gardens. It means gentle exercise for those capable; and prompt access to dental care if necessary. It also means compassionate care for dementia sufferers, and a big public investment for dementia and Alzheimers’ research. Finally it means support for Carers’ whose intervention could make the difference in preventing premature resort to high intensity care. Not that long ago Labor figures were speaking of approaching the coming election on the theme of ‘Social Insurance’. This still makes sense! But since Abbott has attempted to neutralise the issue with bipartisan support for disability insurance, Aged Care Insurance as outlined here could reignite that debate. And if Abbott attempts to neutralise this issue by adopting a similar policy – then that is a progressive victory as well! At ‘Left Focus’ and “ALP Socialist Left Forum’ we have argued that Tony Abbott is betraying his Democratic Labor Party heritage by taking a hard line against social welfare, and policies which punish the poor and vulnerable. ‘Compassionate conservatism’ which has a heart for social welfare may not be our ideal – but it is better than contemporary neo-liberal Neo-Conservatism – which ‘has no heart’. If by some quirk of fate there are Conservatives reading this post, we urge them to consider the positions of the post-war German Christian Democrats and their support for social welfare and a ‘social market’. We are saying this well aware that the other aspect of the DLP was its regrettable role in a split which kept the ALP out of power for decades; and which took an anti-liberal authoritarian line in favour of literally banning the Communist Party of Australia; and opposing militant unionism. But perhaps were Labor to adopt Aged Care Insurance– Abbott might also rediscover his conscience and assert himself publicly and in the Liberal Party Room ahead of the election – in favour of the policy. And again: win or lose the election – by initiating the policy and potentially securing bipartisan support Labor would have achieved a vital progressive victory. You raise some good points here about people wanting to 'downsize' their homes for whatever reason. I am aware of some initiatives applying to senior citizens, but, as you point out, there are other groups that could benefit from a little government assistance along that path. I think stamp duty concessions is the most useful initiative to help these groups. I seem to recall that a few States introduced some stamp duty discounts for seniors during the GFC - mainly to stimulate the building industry. In the recent Budget the federal government introduced an initiative to encourage older Australians to 'downsize'. Sounds good. But the reality is that this pilot scheme is so very restrictive that very few will benefit from it. Firstly, you have to have been in your current home for 25+ years; secondly, you are able to 'park' up to $200K in a special account (assuming your new home is cheaper than your old home) without it affecting your eligibility for a government pension, but if you withdraw so much as 1 cent from the capital or interest on that account, the entire amount is then considered in re-assessing your eligibility for the pension; thirdly, you must withdraw it all after 10 years at which time no doubt it will be assessed by Centrelink. Given that most seniors who might want to avail themselves of this policy are probably at least 70+, this will be of little benefit. Maybe their estate beneficiaries might get the windfall! Retirement villages are a trap for many. As I understand it, you may pay a normal house price, but you are really only leasing the home. Heavy penalties and fees apply when/if you decide to leave and sell your retirement village home. And I seem to recall not long ago the federal government floated some policy requiring the remaining partner to sell or reverse mortgage the home to pay the bond money should one of the couple require admittance to a nursing home. Not sure where that is up to. So there is probably quite a lot of mismatch in the community between people and the homes they occupy. But to change their living arrangements would involve quite a loss of capital to pay the stamp duty. You are right about one thing - it is the size of the GARDEN, not the house, that forces older, more disabled people out of their family homes.